When I first started writing this blog on the 1st of November, 2013 I had no idea the impact that this would have on either myself or how it would impact others from my social media connections. The blog started off just as a commentary on how I was using my iPad however I noticed a huge gap in the market for relevant information for Australian small business owners as well as how professionals could use these devices. I have also learnt that as a ‘Tech Coach’ I need to be an multi-platform authority, I can’t just specialise in Apple Products hence why I have tried to include Android options for every blog post and Windows/Blackberry where applicable. The power of social media and even just sharing my story with someone sitting next to me on the place has brought affirmation that I am on the right path into 2014. There is a big need for both individual help and for professionals and a company called ‘ReadyTechGo’ was featured in Shoestring and the Age Newspaper this morning. They started off specialising in helping seniors in technology and have now expanded their business. Thankyou to all those who have tweeted, re-tweeted, commented and shared their thoughts during these past 30 days especially Helen Blunden (@ActivateLearn) and Costas Sotidis @LearnKotch for their support, encouragement and sharing within their own social media networks. I have received a text message from the Queensland State Manager from Noodle Box, thanking me for the recommnedation of ‘Cloud On’. My Pinterest Board has definitely been handy to post all of the blog posts in one place. I have also included the article from Leaders in Heels and Smart Company. I use the Pinterest Boards as a means of researching for my own articles but also sharing knowledge on set topics. 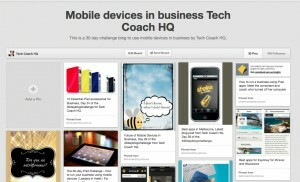 Here are five things I have learnt from my experience using just an iPad for my business. 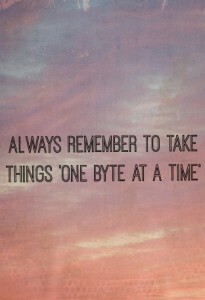 This could easily apply to those who are using their mobile devices to manage their business as well. Most people just download apps because of a recommendation from someone without looking first whether it’s going to suit them (and then the app just sits there). Evernote I have found is one such example where people have downloaded it because someone has recommended yet, no account has ever been set up. I call this digital de-cluttering and it doesn’t matter whether it is files on your device or apps, every month clean out the apps that you aren’t using. If you haven’t used them yet, you are probably not going to and it’s always easy to re-install them on your device. 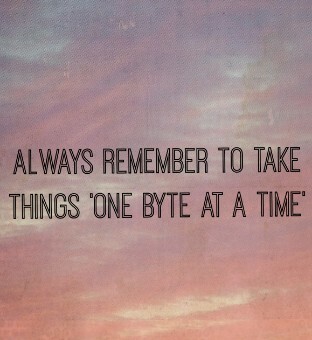 It also helps run your device much more efficiently. What does your workplace allow? Also check with your workplace what apps can be used within the business. I have discovered this week after working with two major Banks that the apps I was recommending couldn’t be used due to privacy and security issues. An excellent Australian business based out of the York Butter Factory, Podzy provides an alternative to Dropbox. Click here for pricing. Look at your traditional processes and the outcomes that you would like to achieve on your mobile device. The number of business professionals I have seen just use their iPad/mobile devices for email (or even just Angry Birds) continues to amaze me. I think the biggest challenge I face is that there isn’t one app that will solve all of my problems. Often it is more than two apps to achieve the desired outcome. The other issue I face when reviewing apps (and I have probably researched over 800 this year) is that on face value the apps look fine, but when I download them it isn’t what I wanted. As I learnt earlier this week, it doesn’t pay to always get the cheaper cables or even iPad cases (they just don’t last). If you are in a trades based industry, make sure you get a touch case, that is both waterproof and shatterproof and a battery backup to get you thru the day (or an in-car charger). If you are a handwriter, make sure you invest in a comfortable stylus. My recommendation is to find a stylus with a firm tip (I struggle with rubber tips unless they are solid). A keyboard is a must if you need to do lots of typing for your business or work and there are many options out there. I always have two charging cables for my iPad. One for home and one for when I am training/travelling with my devices. If you decide to present with your mobile device, get the correct cables. I have mine in a little pencil case along with styluses, Apple Remote for presenting and the VGA cable for my laptop. My most recent addition to my accessories is the battery pack which really does make a difference especially when you are in meetings and with clients (no time for charging a device at a powerpoint). I think this is one I had underestimated during my time just using my iPad. I have a Telstra pre-paid account (1 year of data (12GB) for $180 that I think would have lasted me the whole year had I not completed this #30dayblogchallenge. It actually ran out last Wednesday during a very important client meeting and had to recharge my account. Since I was away from home in Sydney with business meetings and staying with family, I was using my celullar data rather than the Wifi at home. Within 2 days, I had already used the recharge up just relying on the cellular data. 1. There is a solution for nearly all situations (and it’s different for everyone). I explain it like going to a doctor and getting a script after they have listened to your problems. 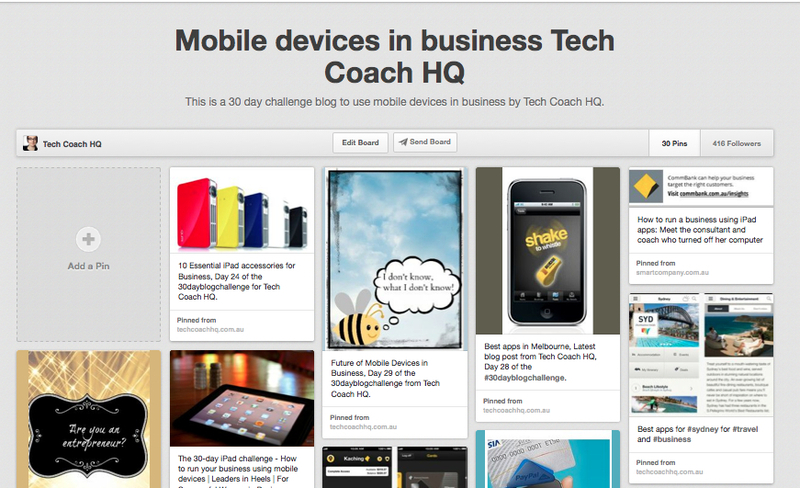 Tech Coach is really trying to understand where people’s needs are and working out the best way to help businesses and professionals maximise their mobile devices saving them time, money and ‘tech headaches’. I love pushing the boundaries and proving to people how much they can use their mobile device whether it be a smartphone or a tablet. The ‘aha’ moments are priceless no matter what age or skill level. When trying to train/coach individuals or teams, there must be hands on experience. When people ask me why I set up this business, it’s for the smiles and the experience that people have when they understand a concept or solve something that has been frustrating them using technology. I can’t help teaching others anywhere from sharing a meal (thanks @janetepper from EcoSleep Australia or sitting next to someone on a plane using my iPad as my teaching platform. Tech Coach HQ will be releasing new packages in the 2014 with services for both individuals and businesses. Webinars will be also running with ‘Online Event Specialists on using Evernote (for those who don’t live in Melbourne), how to get the best out of your mobile device for business and a few other topics to be announced’. Evernote Training is still being conducted at the York Butter Factory in 2014 thru WeTeachMe. This eBook will be published (on all eBook platforms) next year in 2014 along with ‘explainer videos’ for each chapter showing you exactly how to use these apps and the workflow that I recommend along with some brand new material. Click here for the ‘feed’ to get regular updates as I continue to update this blog (although it won’t be once a day). Thank you to the new followers on social media who have joined in this conversation and made suggestions along the way and here’s to an amazing 2014 where publishing this eBook (and a paper book) will add be ticked off my ‘bucket list’. 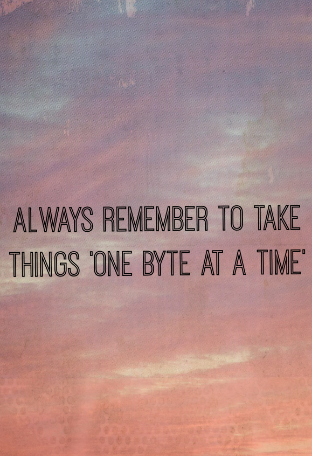 Remember, always take things ‘one byte’ at a time. Until next time, from the Tech Coach.